Guess Where I Was and Win Books & Lit Mags! So, I had an idea to free up some of my bookshelf space while filling yours! I was on holiday last week and thought I'd run a little competition - guess where I was from the pictures below and win books! It seemed apt to give away a copy of my 1st collection, The White Road, and I thought I'd also send your way some of the contributors' copies of the wonderful anthologies, lit mags and books on creative writing that I've been honoured to appear in. The books are: The White Road (by me, Salt Publishing), Writers & Artists Yearbook 2014 (very heavy so can only afford to post within UK), Short Circuit: A Guide To The Art of the Short Story (ed Vanessa Gebbie, Salt Publishing -1st edition), The Binnacle Ultra-short issue 2013, Exposure anthology (Cinnamon), The Lion and The Aardvark anthology of 21st century fables (Stone Skin Press), Winter 2012/2013 issue of The Stinging Fly, and the brand new issue #58 of Magma poetry journal. Loads of brilliant reading. 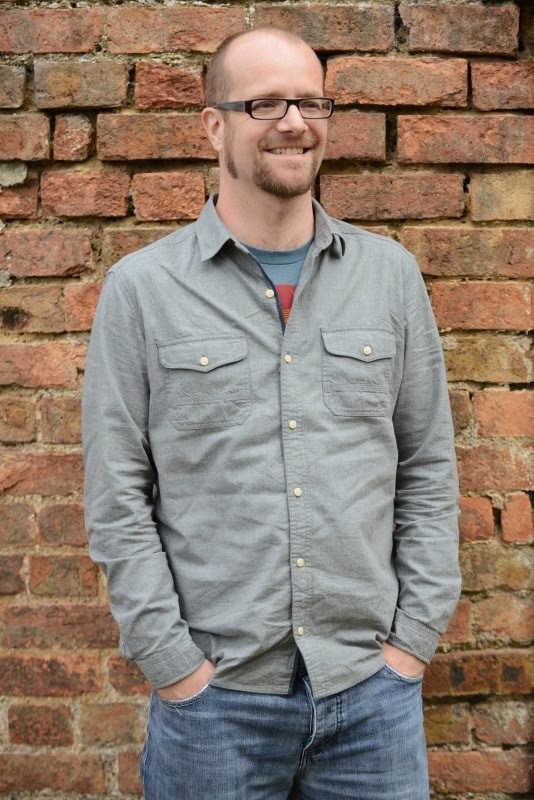 Dan Powell is a prize winning author whose short fiction has appeared in the pages of Carve, Paraxis, Fleeting and The Best British Short Stories 2012. His debut collection of short fiction, Looking Out Of Broken Windows, was shortlisted for the Scott Prize in 2013 and is published by Salt. He procrastinates at danpowellfiction.com and on Twitter as @danpowfiction. Dan is giving away a signed copy of Looking Out of Broken Windows to one reader of the blog tour; he will post to anywhere in the world. To win just leave a comment on this post or any of the other LOoBW blog tour posts appearing across the internet during March 2014. The names of all commenters will be put in the hat for the draw which will take place on April 6th. Dan: I live in an old farmhouse in the midst of the Lincolnshire countryside. The nearest market town is Horncastle, the antiques capital of Lincolnshire. The stories in Jon McGregor's short fiction collection, This Isn’t The Sort of Thing That Happens to Someone Like You, are all set in Lincolnshire, with one even set in Horncastle itself. I bought and read the collection just after we moved here. A great way to experience the stories, surrounded by the places that inspired them. Our village is really just a street and a small, disused church, surrounded by pastureland. It's a wonderfully quiet part of the world, perfect for writing. I am very lucky to have a study in this new house, it’s only a box room, just big enough for a desk and a few book shelves, but it is wonderful to finally have a room in which I can shut myself away to write. It even has a window overlooking the surrounding fields and in the summer evenings I sit there watching the house martins that nest in the eaves darting back and forth outside. There are loads of great countryside walks we can take just by stepping outside our front door, so when the weather’s good, we make the most of it and get out and about. We also have a massive garden here, which feels even bigger with the views of the surrounding fields. Great for the kids. Lots of space to play in. In the summer heritage aircraft fly overhead, and throughout the year we get the odd fighter jet from the RAF bases scattered around the county, all of which my boys love, obviously. T: How long have you been there? D: We moved here last August, when we returned from spending seven years or so living in Germany. It was only on coming back that my wife and I realised quite how much we had missed being in the UK. Simple things like browsing English bookshops and being able to buy good old fashioned Fish and Chips still feel like a real treat. We had put off coming back for a year or two and now I wish we had come back sooner. T: What do you write? D: Up until now I have mostly written short fiction. My stories tend to move between gritty realism and magical realism with most of my latest work landing somewhere in between, bridging the gap between these often opposing approaches to story telling. A fair few people have commented on how my writing seems to pull off what they thought of as two conflicting and incompatible styles of writing in the same piece. My debut collection, Looking Out of Broken Windows, is made up of the best of my last five years or so of short story writing and I am already knee deep into a follow-up collection, with about seven or eight stories done. I am also writing a novel as part of my MA Creative Writing studies. The deadline is this coming September and I am currently on target to finish. Writing the novel has been a massive challenge and a very different writing experience to writing short stories. I have enjoyed the challenge of the novel but I my heart belongs to short fiction. T: How do you think where you are affects what you write about and how you write? D: Places which resonate with me tend to end up in my writing but often long after I have left there. In 2008 and 2009 we spent some excellent holidays in Highcliffe, on the south coast of England. The coastline there is striking, half of it landscaped the other half scarred by cliff-slips and eroded shores. This setting features in a few of my stories; Third Party, Fire & Theft in the collection is set in part in the public car park outside The Cliffhanger cafe their, while Rip Rap, recently shortlisted for the Willesden Herald Short Story Prize, is set in a fictitious version of one of the holiday camps set along the eroding cliff faces that stretch of to the east. More recently we spent a few holidays visiting various parts of Denmark and it’s wide skies and lengthy coastlines struck a chord with me. The notes I made in our holidays there are just starting to find their way into becoming stories. That said, moving to Lincolnshire has had a real impact on my writing though, and it is the first place I have lived in that I have consciously tried to write about. The landscape moves between the sweeping hills of the Wolds and the broad flat farmland of the south of the county. The last few months I have been working on completing a draft of my novel, the final third of which now features a section set in a Lincolnshire village not unlike the one I am living in. I feel like I am starting to really understand how setting can be an integral part of my fiction. It is starting to move more to the fore of what I write. Looking back at the stories in the collection I can see this process actually began a while back with stories like Third Party, Fire and Theft and Storm in a Teacup. I’m looking forward to exploring more of the local area and hope it continues to inspire me. 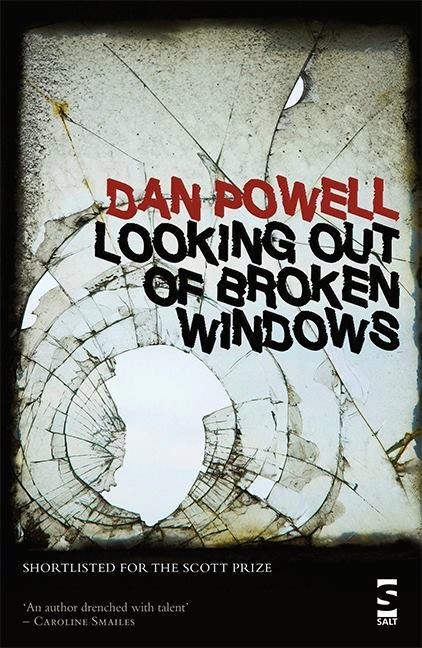 Don't forget to leave a comment here for a chance to win a copy of the excellent Looking Out Of Broken Windows, which you can read more about, as well as about Dan himself, at www.danpowellfiction.com. I haven't done this for ages, this blogging thing. It seems that Twitter has satisfied my need to express myself, in tiny chunks. Or maybe I was only thinking in tiny chunks. Anyway, there's something that's been mulling around my head for a long while and I think the time has arrived for me to try and get it down here. I, as often happens, plan to figure out what I think through the writing of it, so this may be less than coherent - but whatever happens I probably won't edit it much because this is my blog, not an essay or an article, so I'm allowed to waffle and ponder! I welcome your comments, thoughts. I am expecting to raise more questions than answers. I am already being an unreliable narrator because I have been doing a substantial amount of writing over the past few months, I wrote around 50,000 words as my half of the forthcoming Book of Short Story Writing: A Writers & Artists Companion - co-written and edited with Courttia Newland - that will be published in December. Yes, you read that right, I, the short story writer, the flash fiction writer, wrote 50k words, and in about 8 weeks. I didn't know I could do that. But what made me able to do it was the fact that it was about what I love - short stories and writing. What I hadn't expected was how much I would learn about myself through the writing of it, and not just about my own writing. I think I may have learned about how I can best approach this thing called life, too. What prompted me to start writing this tonight (who knows when I will finish it) was going to see the National Theatre production of the play War Horse which was shown in a local cinema. National Theatre Live, it's called. I'd heard brilliant things about the play. I vaguely knew the story - there may be spoilers here, so look away if you haven't seen it - boy and horse form strong bond, horse goes off to WWI, boy goes off to WWI in search of horse. So, what do we want, what are we rooting for? For the boy to find the horse, of course. Now, we get onto the technical stuff. The way I see it, there are two things at work here: plot and story. Plot = boy meets horse. Boy loves horse. Boy loses horse. Boy finds horse again. That plot (especially if you substitute other things for "horse") ain't new, right? So why, when I was 100% sure that boy would be reunited with horse, was I weeping at the end? Actually, I started premptively tearing up in the first half. Why? What was going on here? Story is the stuff that is wrapped around Plot to make you FEEL something. This plot happened to have a story wrapped around it that involved war, friendship, family, reconciliation. But you can see how this plot could have had maybe an infinite number of stories - the boy could have been living on Venus and the horse might have been a robot horse that turned evil, see what I mean? What made me cry wasn't, clearly, the surprise and joy that, oh yippee, boy and horse are beautifully reunited. It's because I cared - about the boy and about the horse. They'd become real to me. I empathized. As we tell stories about the lives of others, we learn how to imagine what another creature might feel in response to various events. At the same time, we identify with the other creature and learn something about ourselves. As we grow older, we encounter more and more complex stories — in literature, film, visual art, music — that give us a richer and more subtle grasp of human emotions and of our own inner world. I want to stop to clarify something for a moment: When I use the word "story" I am definitely not just referring to the short story, or even to fiction. I have been writing poetry now for the past few years, tentatively at first, but in the past weeks much much more. And what I am discovering is that through poems I am able to write about my own life, my experiences, directly in a way that I can't through fiction, it has always made me deeply uncomfortable. Something about what I think a poem is - something about the language and the rhythm - is allowing me to "storify" real experiences enough to banish that discomfort with autobiographical writing. And, as several people mentioned to me this week, no-one else will know which parts of what I write are taken from my own life and which are not. I read the most fantastic interview yesterday in the New Yorker with American writer Lydia Davis, Long Story Short. 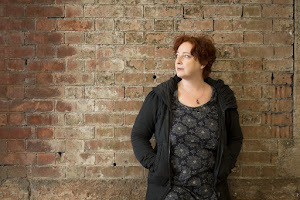 She writes what she calls short stories -often very very short - but which other people sometimes try and call other things, and, thrillingly, she won the 2013 International Man Booker Prize. I have been a fan for several years - she has a new collection out this year, get hold of it. Somewhere in the files of General Mills is a letter from the very-short-story writer Lydia Davis. In it, Davis, who is widely considered one of the most original minds in American fiction today, expresses dismay at the packaging of the frozen peas sold by the company’s subsidiary Cascadian Farm. The letter, like many things that Davis writes, had started out sincere and then turned weird. Details grew overly specific; a narrative, however spare, emerged. “The peas are a dull yellow green, more the color of pea soup than fresh peas and nothing like the actual color of your peas, which are a nice bright dark green,” she wrote. The interview, Dana Goodyear, says Davis' stories "have very little in the way of plot; sometimes people get indignant and ask her why she doesn't call them poems or fragments. (She prefers the deeper associations of the word 'story.')" Goodyear doesn't explain what these deeper associations might be, but perhaps what I'm writing about here is touching on it. "I have to guard against the tendency - I could make anything into a story," Davis told me. Several years ago, she started writing a long note to her literary executor, but had to stop when it began to take on a life of its own. "I was trying just to write instructions, you know, 'My notebooks should go here,' ... But it began to get too elaborate, too detailed, too opinionated and too irrational. ... I didn't really want it to be a story, because I needed it to be an actual letter to my executor". This tendency to create story/narrative even when we really don't want to, although maybe not as extreme as Davis, speaks to something I've been wondering for a few months now - how do PLOT and STORY relate to our "real" life? I've been formulating a sort of new philosophy: what if everything that happens to us, all external events, objects, people, is just plot, it has no inherent story at all? We are the ones who wrap it - or a series of events - in story, to make it fit a pattern, to try to understand it, to help us make choices for the future. In short, we need stories in order to try and deal with life's uncertainty. What I've been attempting to do over the past few months is try a new approach - notice what stories I am starting to create about things I actually don't really know about (what's going on in other people's heads is really the main thing), and then think, Do I need that story? What I want to do is ditch the stories I tell myself that create stress. Sounds simple, eh? It's not. Clearly. Otherwise we'd all be doing it. But I am getting much better and faster at noticing when a story is starting up. Mindfulness, right? (Learning to meditate 11 years ago was a great thing, although bloody hard to actually put into practice, I've found). Another thing I've been thinking about is our tendency to want to persuade people of our stories, because we are pretty wedded to them. And I'm noticing that a little more too - I can say to myself "That's X's story, which is great for them, they can have that, but I don't have to take it on." Now this is MUCH much harder than it sounds. I keep finding myself stuck in other people's - or society's - stories. Society needs its stories too - and conveys them to us through adverts, say, and other media, of course. (see excellent book and blog, Rewriting the Rules, for more on the difficulty of being in conflict with society's stories). They are all around us. I passed an antismoking billboard on my way home today and it's the campaign that has a child talking to a parent who died from lung cancer, wishing they were still around. Not just "Stop smoking - it's bad", but a fully-formed story. If it is possible to have storyless plot - stuff happens - is there plotless story too, something that makes us feel without in some way "happening"? I've been thinking about this too (yes, I think a lot. A lot.) I think music is plotless story for me. My favourite song makes me instantly happy, can completely change my mood. But is it an event, per se? Perhaps all art is plotless story in this respect? Is art's "aim", if it has an aim, to make us feel something? (Regarding "making yourself happy", an interesting TED talk on "synthetic" versus "natural" happiness). I think I should wind up now, I have a lot more thoughts, this is very much a work in progress (perhaps for the rest of my life), and I am very conscious of not wanting to try and persuade any of you to "take on" my story about story. All I will say is that I seem to have managed to dampen down my stress-creating mechanism considerably. I have found a way and a language that speaks to me - the language of fiction-writing, of plot-and-storyness. It seems my own stories, and my own writing, have been telling me something it has taken me years to listen to. My own work has become more minimalist and surreal over the past few years, and I have felt for a long time that I was giving the reader more authority over the story, I wasn't demanding it be read a certain way. I was letting go, saying, Here, take it, make of it what you will. I think that's what I'd like to do in my life, too. Loosen my grasp. If we are all storifying creatures, I won't try and stop it, but it helps me to notice it. To say, Oh look at me and that story I am starting to tell myself about X! And it often now makes me laugh, the amazing stories I started weaving around the most tenuous of plots! What an imagination we have! Do you have any thoughts on this, anything comments, any critique? I welcome it, as I've said this is work-in-progress. Let's discuss!